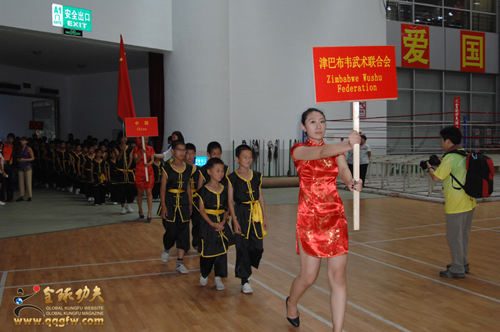 Co-hosted by the Chinese Wushu Association and the Beijing Sports Bureau, undertaken by Beijing Wushu Institute, Beijing Sports Competition Management Center and the Beijing Shaolin Wushu School,the Second " Global Kung Fu Website Cup "2012 Beijing International Wushu Cultural Exchange Conference & the Beijing International Kung Fu Championship grandly opened in Beijing Changping Stadium on August 12th 9:00am. 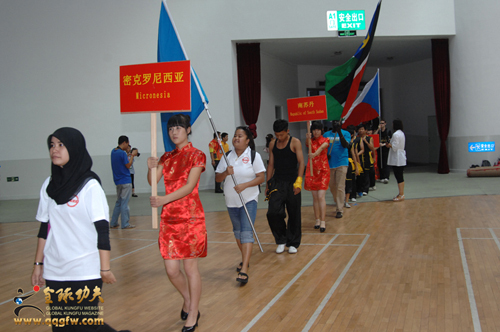 Beijing International Wushu Cultural Exchange Conference was held in response to the proposal of Beijing municipal government in constructing a capital city that can attract the attention of the international events and in its turning to be a world influencial cultural center.It aims to promote the development of Beijing Martial arts , push forward the communication between Wushu athletes and the enthusiasts of martial arts, let Chinese Martial Arts be popular among the whole world , and show the figure of Beijing as an ancient but civilized capital as well as an international metropolis. 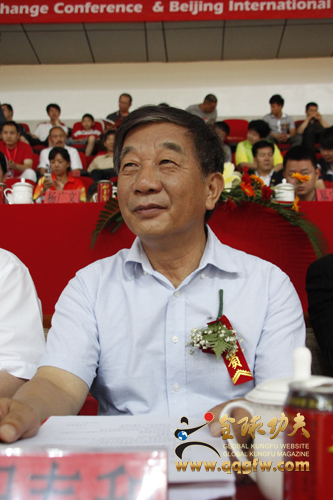 Main leaders and guests who attended the Conference included: the Ninth CPPCC National Committee Vice Chairman Wang Wenyuan, the Chairman of the Chinese Wushu Association, the State Sports Administration, Wushu Administrative Center Director Gao Xiaojun, Deputy Secretary of Beijing Tourism Administration, Cao Pengcheng, Deputy Director of Beijing Sports Bureau Yuan Zhenzhou, former Navy Deputy Commander General Kong Zhaonian, Changping District Publicity Minister Yu Junsheng, former Air Force Deputy commander General King Xueqin, Vice Chairman of International Kung Fu Federation and President of the European Kungfu Federation Nykola, former Chairman of the Chinese Wushu Association Zhang Yaoting, Beijing Changping District Municipal Sports Bureau, Wang Yulu, Kazakhstan Peace Foundation Chairman Haz Buick, Changping District, Beijing Huilongguan regional office secretary Guo Xiangdong, the Beijing Foreign Affairs Office Public-oriented Entry and Exit Management Division Li Baochun, president of the Beijing Wushu Institute Cheng Chunhe,Vice president of the Beijing Wushu Institute Zhang Youfeng, Vice Chairman of International Kung Fu Federation and Chairman of the Moscow Wushu Association Rabadanov Magamedkamil Nabievich, Chairman of the Altai Wushu FederationVolodia, Beijing Sports Competition Management Center, deputy director Zhou Shanghai, UN Friendly Messenger, vice president of Chinese Wushu Association, President of International Kungfu Federation ,Executive President of the 2012 Beijing International Wushu Culture Exchange General Assembly Organizing Committee, Mr.Fu Biao. 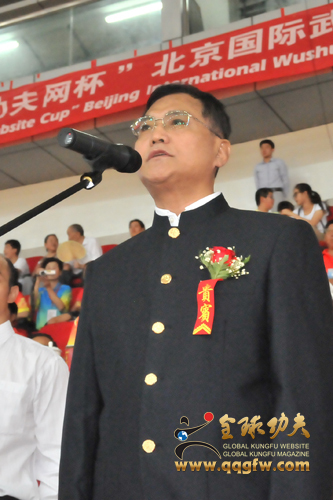 On the opening ceremony, the Ninth CPPCC Vice Chairman Wang Wenyuan granted the Conference flag to the Executive Chairman of the Organizing Committee of the Conference Mr. Fu Biao . 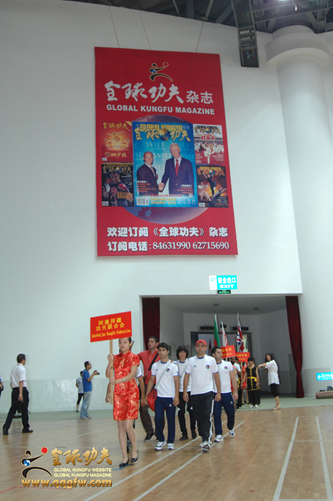 Vice Chairman of International Kung Fu Federation and President of the European Kung Fu Federation, Nykola delivered a speech first, Yuan Zhenzhou, deputy director of the Beijing Sports Bureau, made an opening statement, he extended a warm welcome to the athletes, coaches, referees, all the guests and the news medias on behalf of the organizing committee and his sincere thanks to the communities that had been supporting the martial arts development. 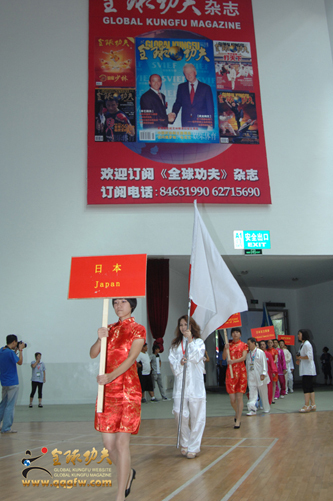 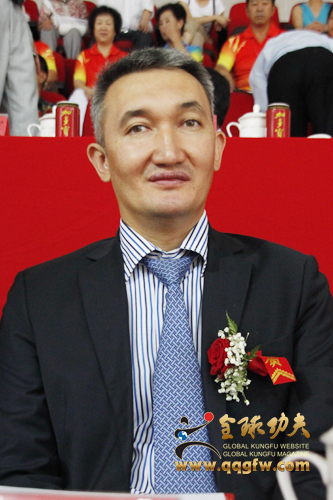 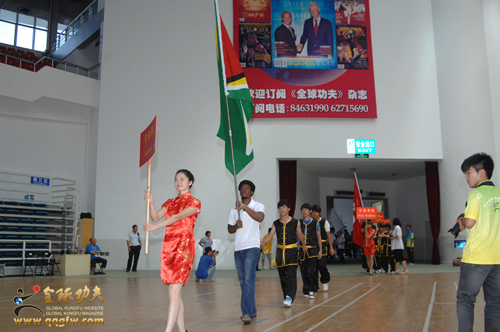 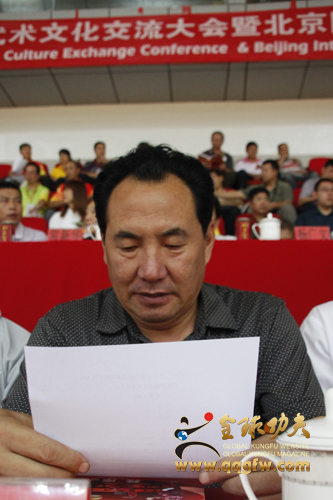 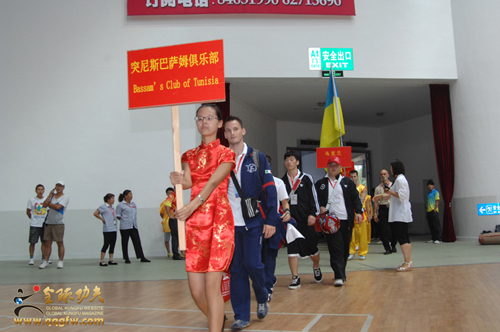 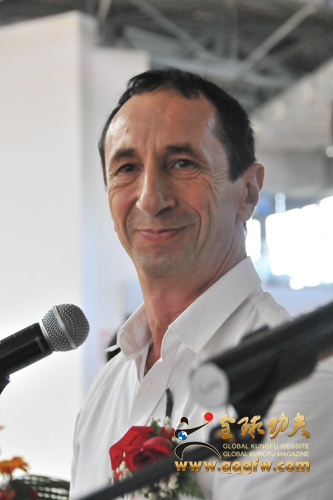 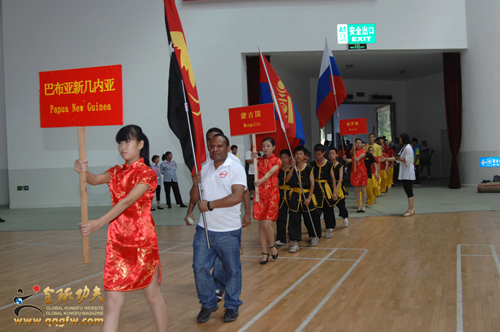 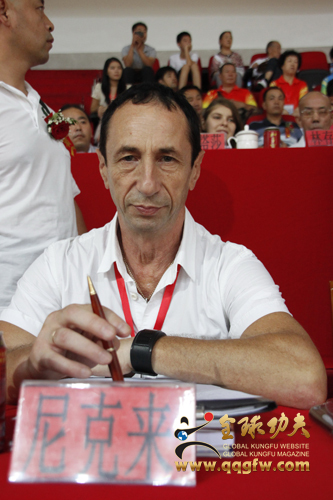 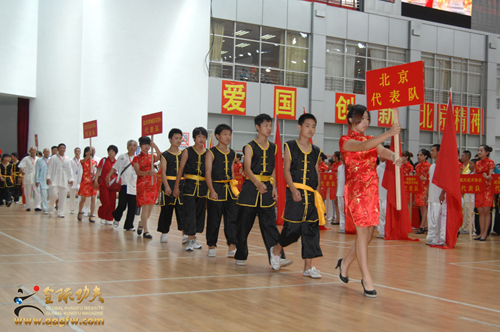 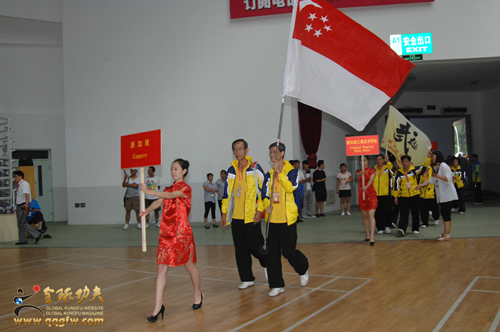 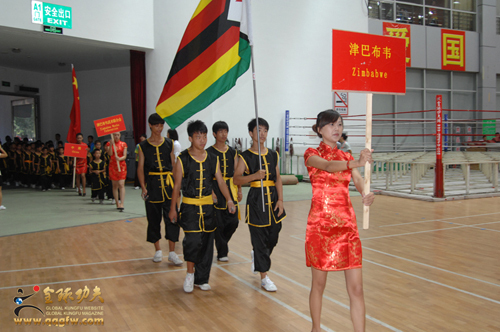 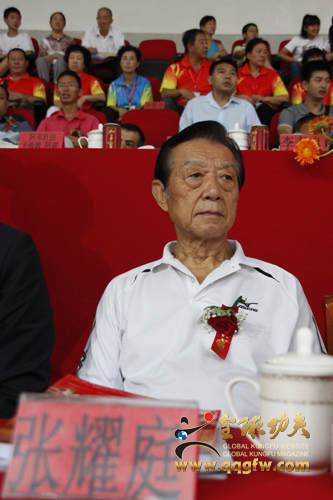 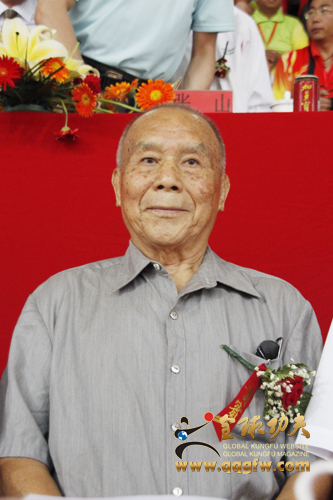 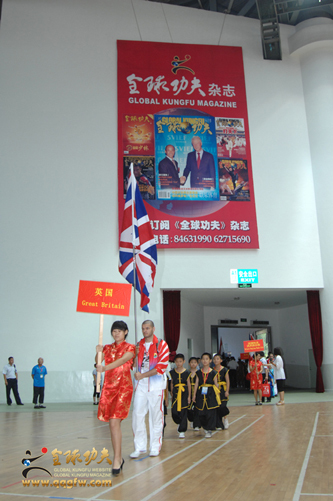 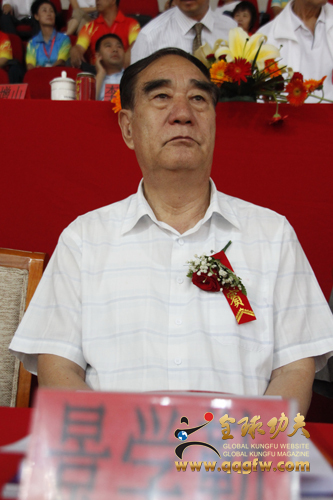 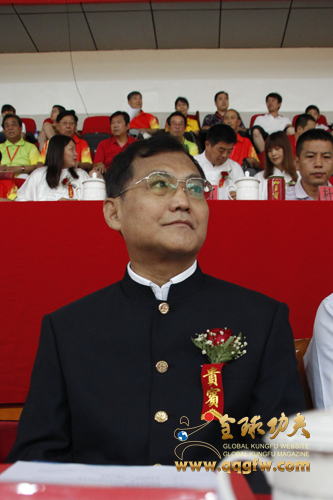 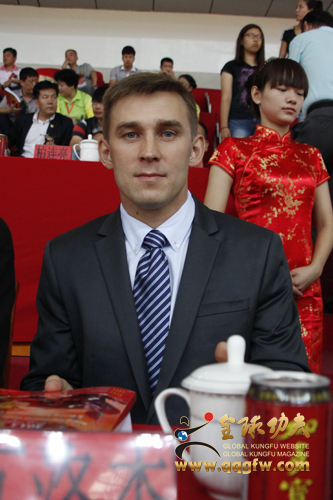 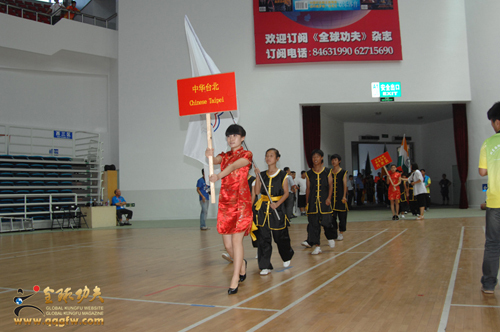 He said the 2012 Beijing International Wushu Cultural Exchange Conference would be held on the basis of the successful host of first Conference,and the current Conference would be more standardized in event organization and more ambitious in scale, providing a platform to show the charm martial arts for the martial arts enthusiasts from the whole world and all the regions in the country . 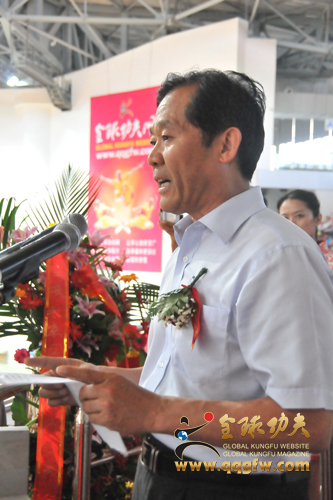 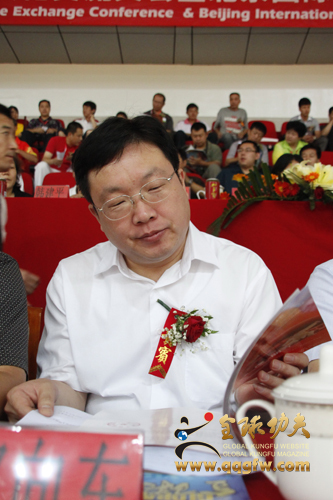 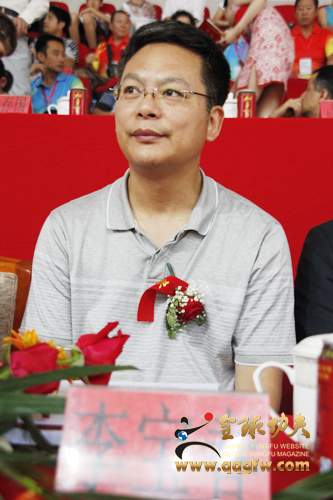 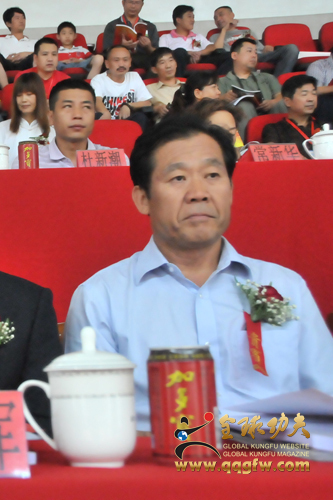 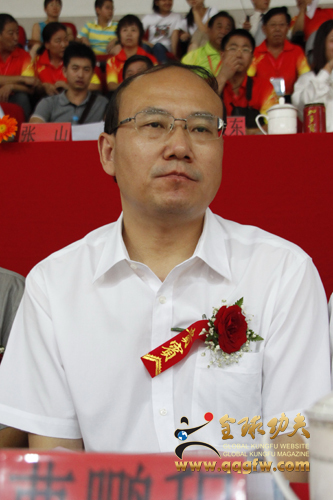 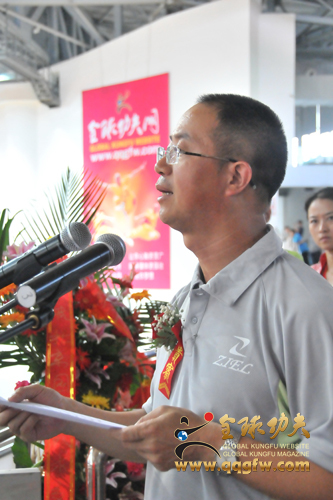 Changping District Publicity Minister Yu Junsheng delivered the subsequent speech. 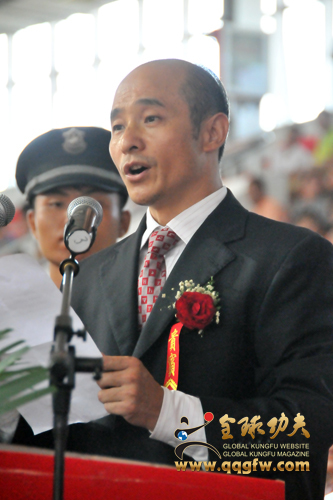 UN Friendly Messenger, vice president of Chinese Wushu Association, President of International Kungfu Federation ,Executive President of the 2012 Beijing International Wushu Culture Exchange General Assembly Organizing Committee, Mr.Fu Biao delivered a welcome statement.He said, Wushu originated from China but belongs to the world, it belongs to sports but is more than sports! 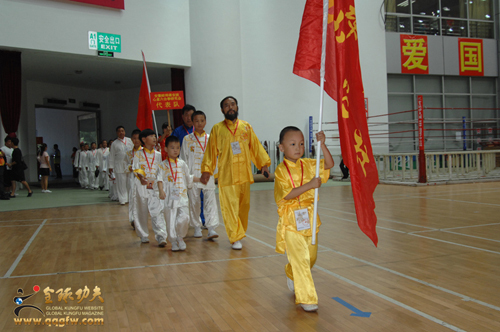 Wushu is a combination of thinking and body language,it is a combination of art and aesthetics,also a combination of strength and skill, it is a science and technology which can boost the spirits and the wills of all mankind. 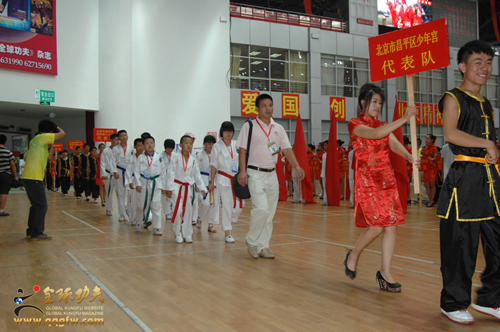 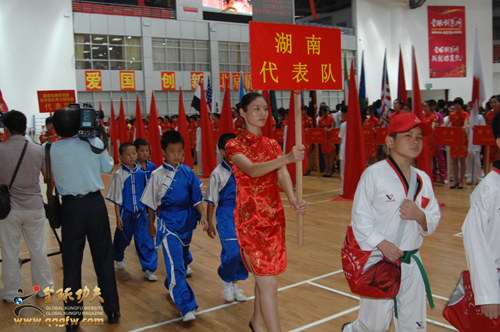 The enhancement of a country's culture can elevate the idea of a nation, and the revitalization of the martial arts can boost a country's national spirit. 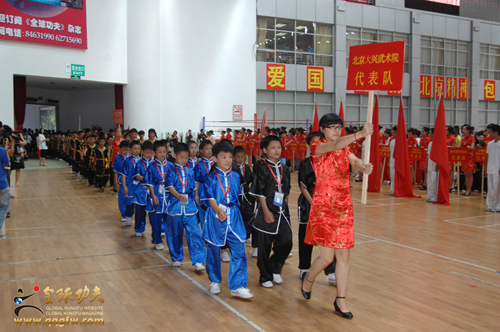 He hoped that the host of the Wushu Culture Exchange Conference can enhance the national martial arts cultural exchanges and promote the competitive level of the national martial arts enthusiasts. 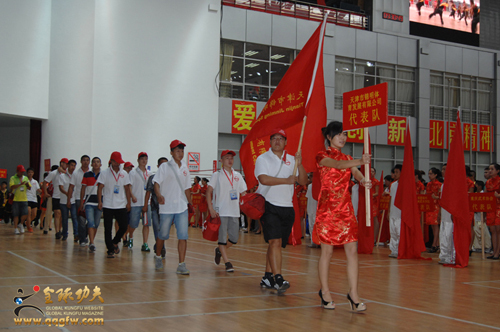 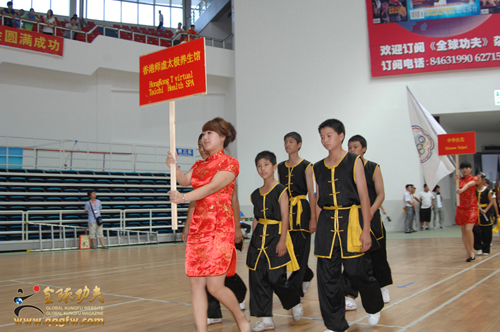 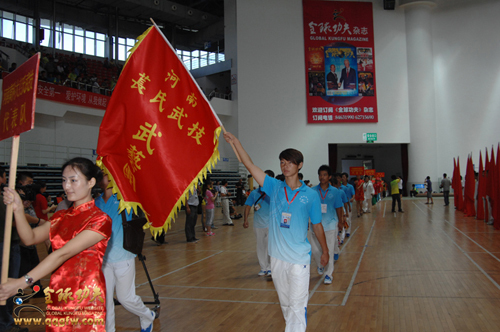 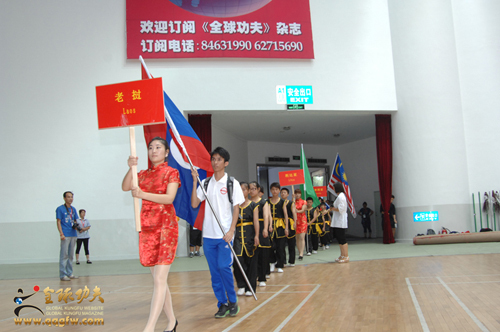 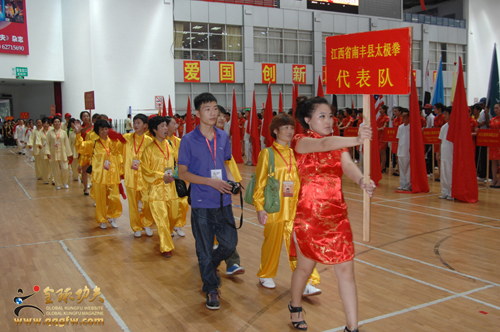 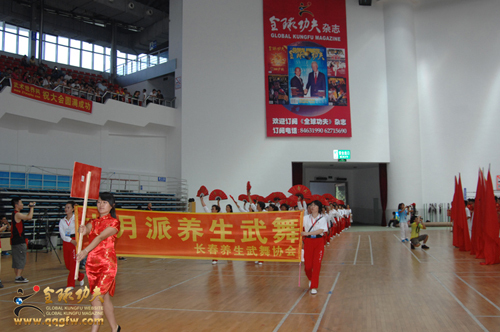 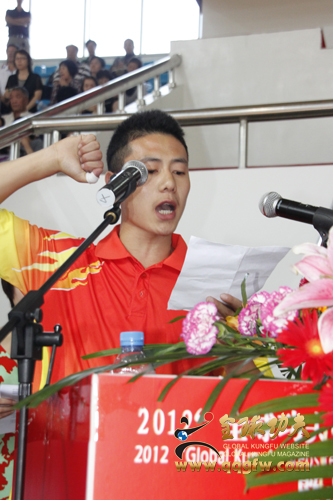 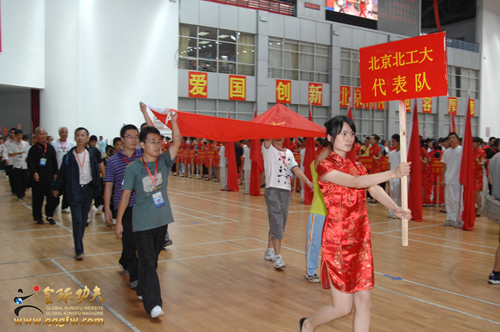 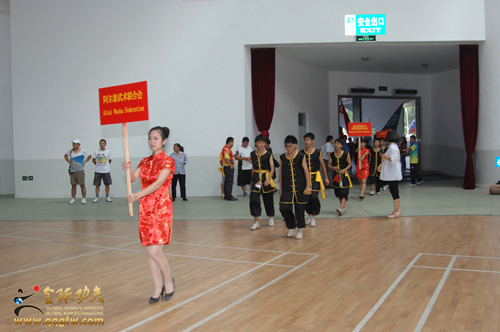 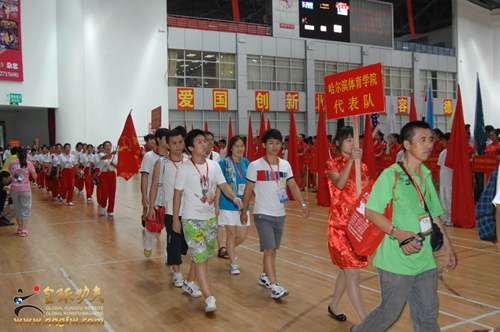 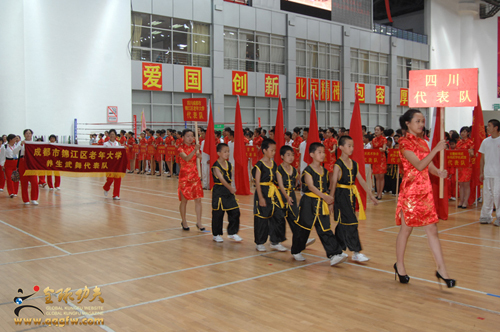 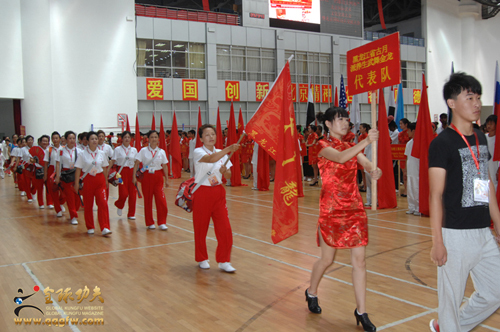 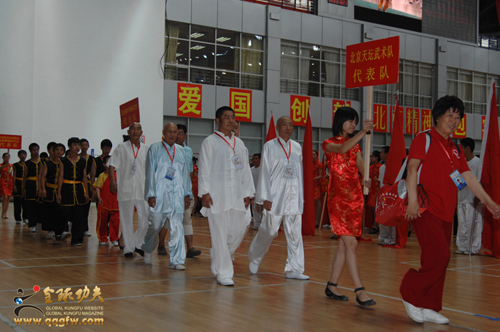 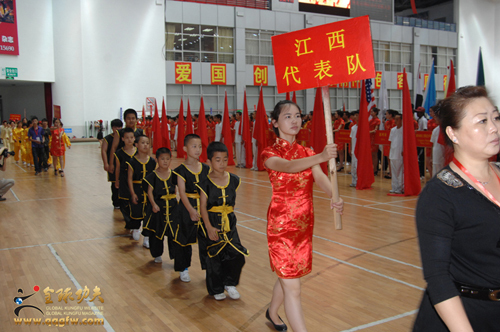 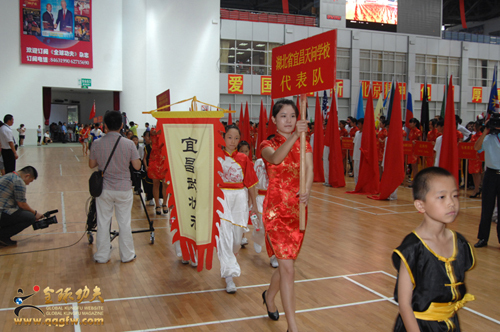 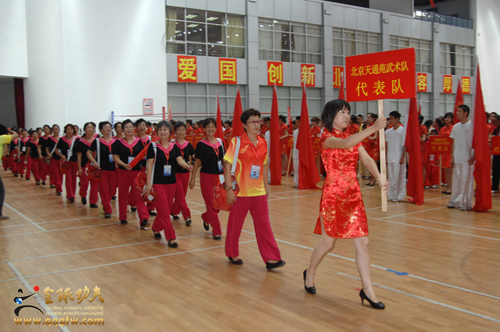 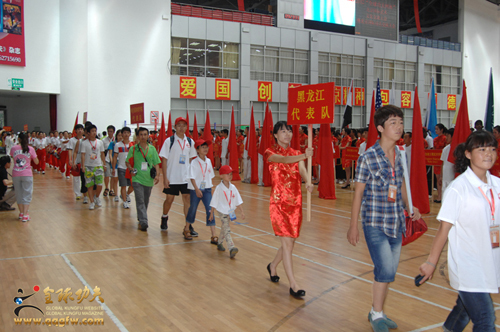 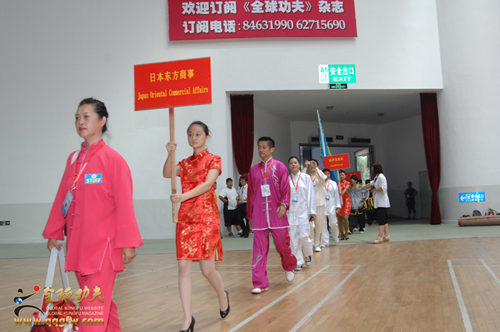 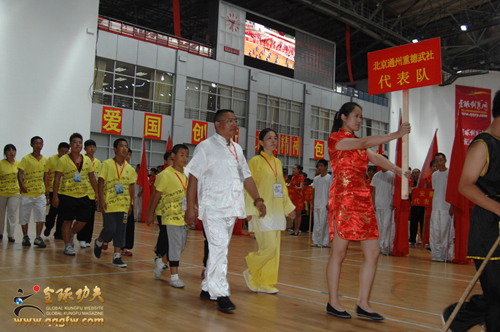 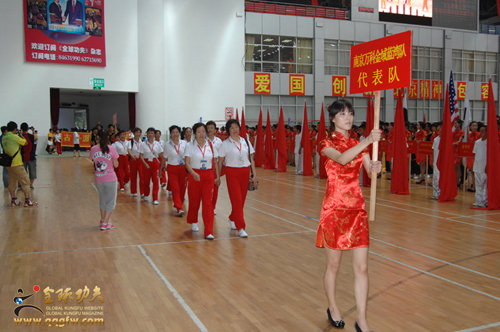 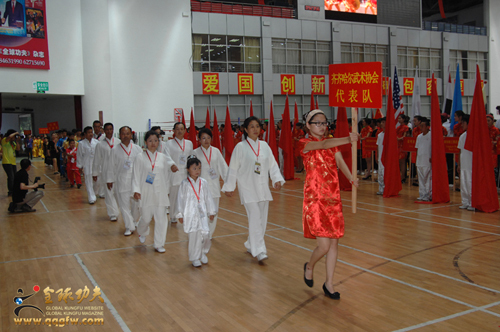 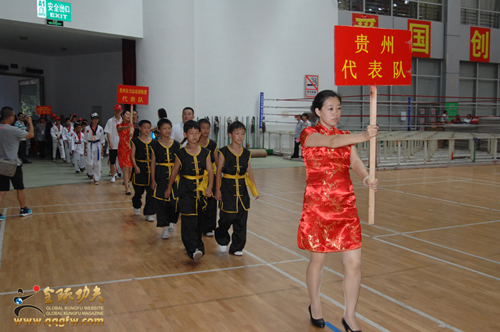 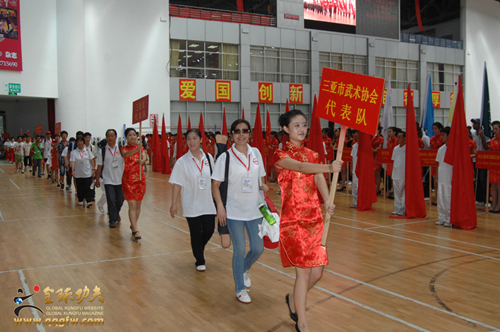 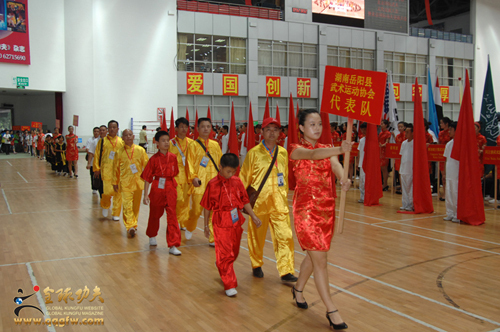 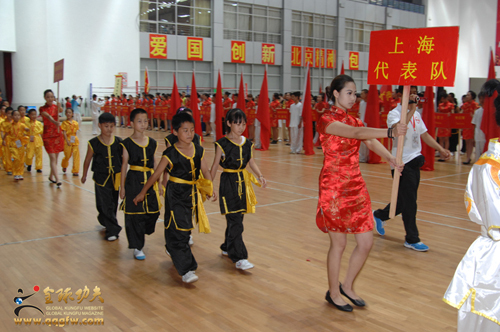 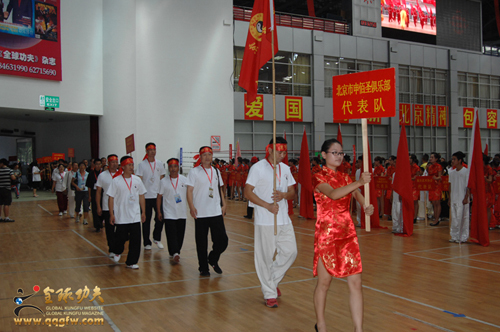 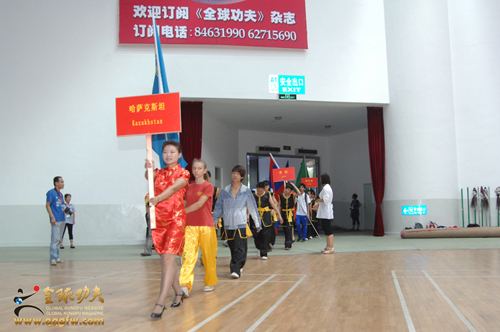 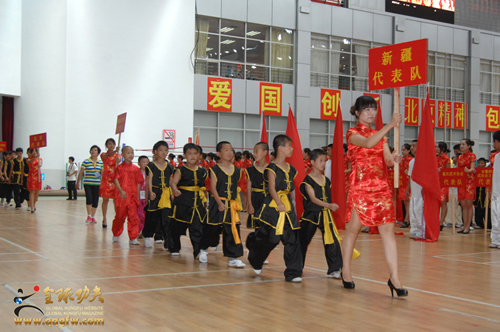 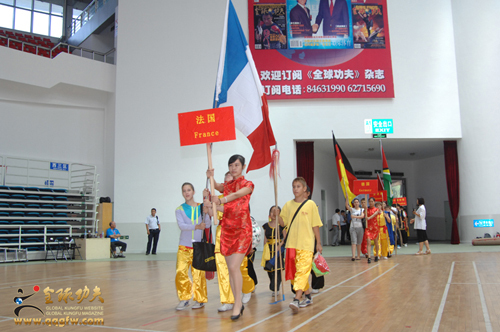 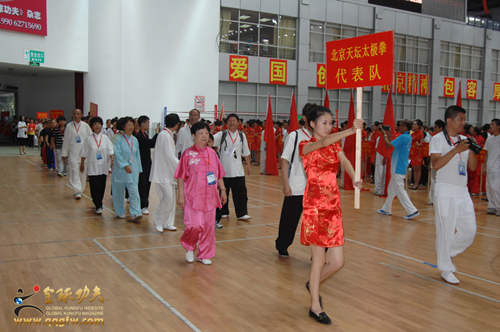 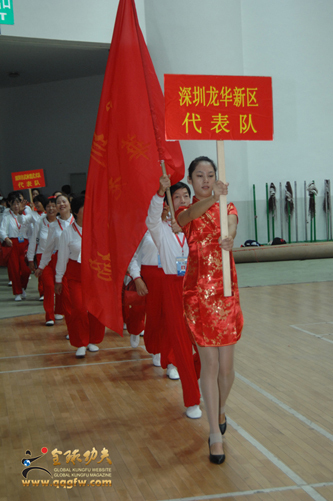 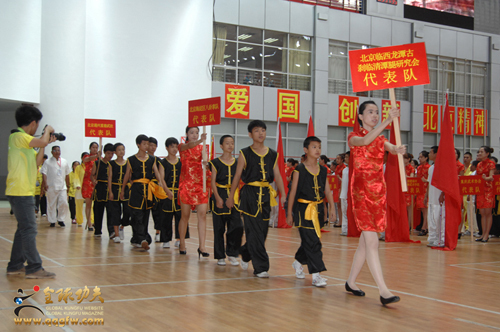 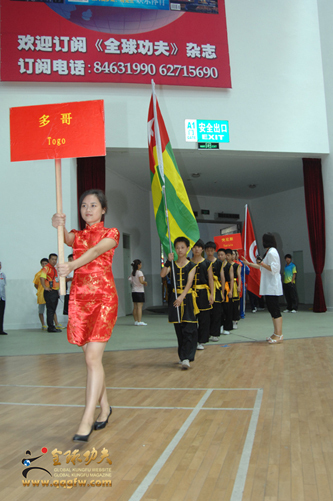 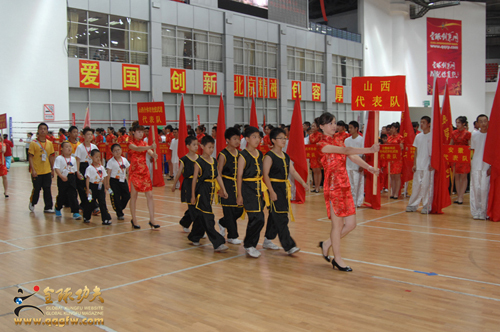 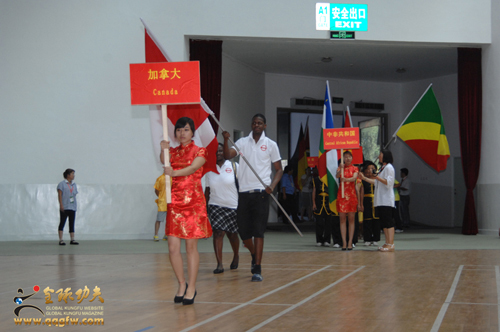 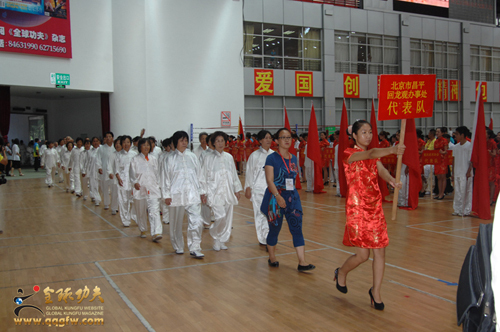 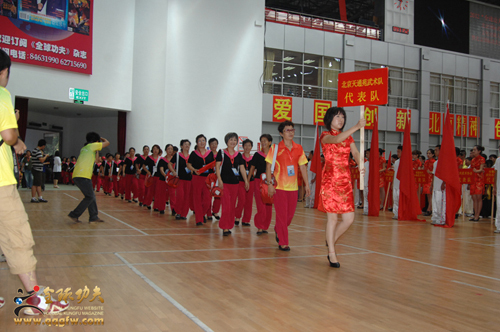 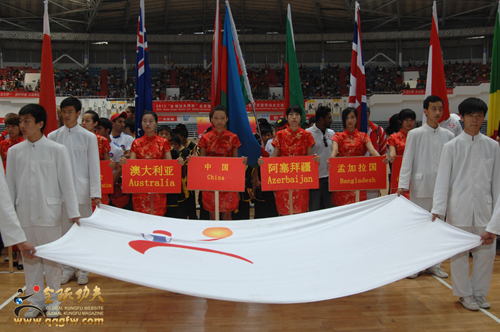 Chairman of the Chinese Wushu Association, the State Sports Administration, Wushu Administrative Center Director Gao Xiaojun declared the opening of 2012 Beijing International Wushu Cultural Exchange Conference. 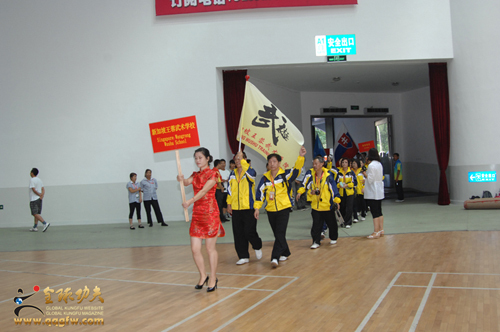 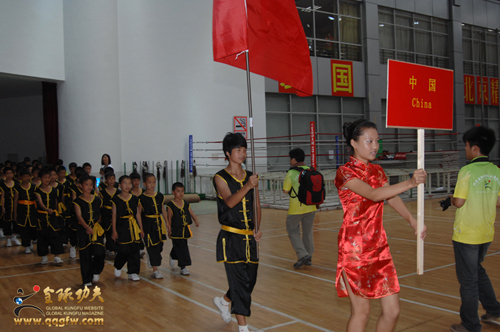 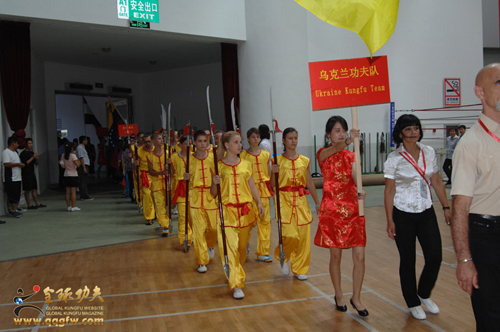 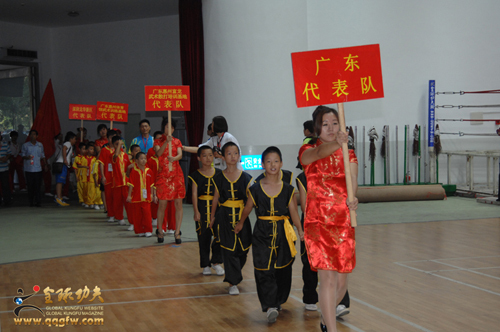 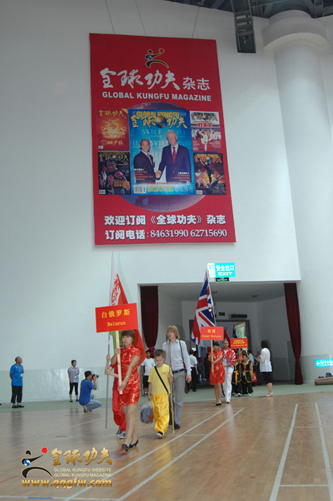 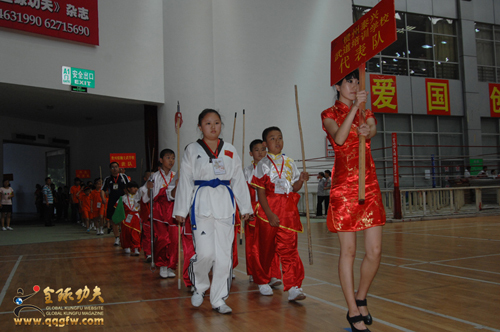 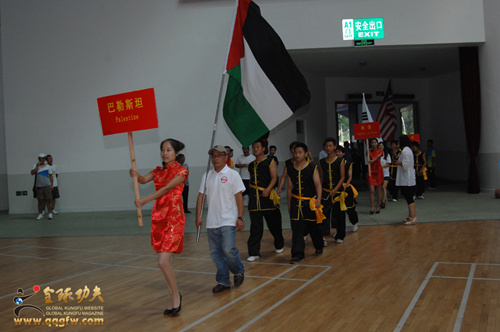 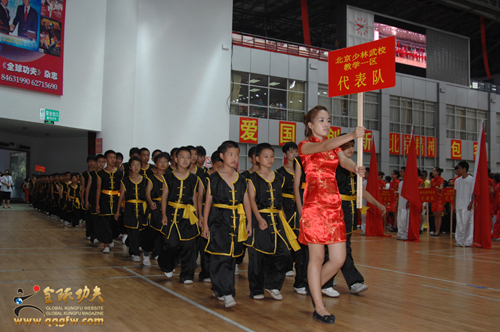 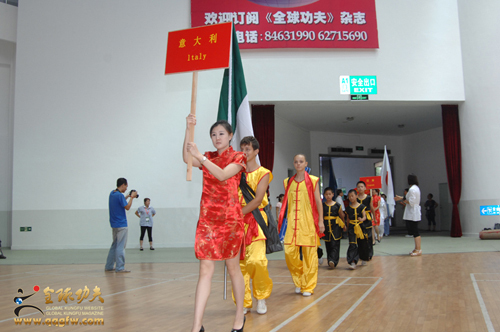 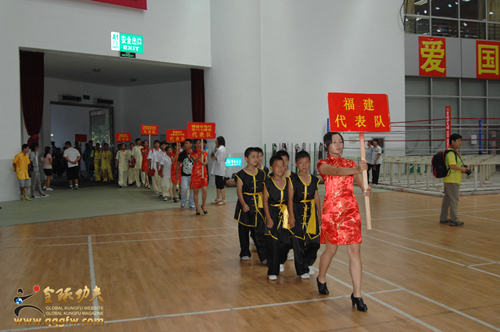 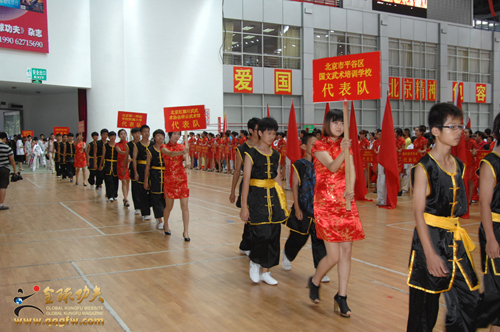 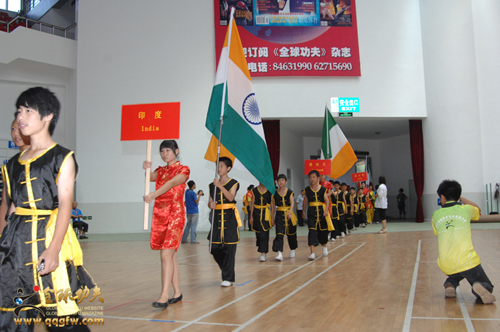 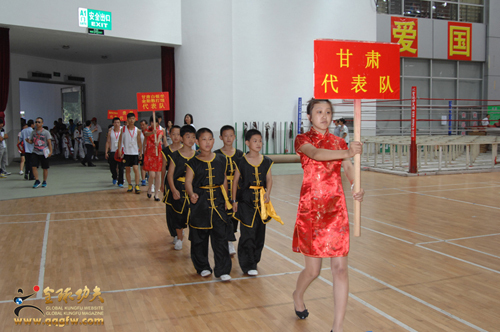 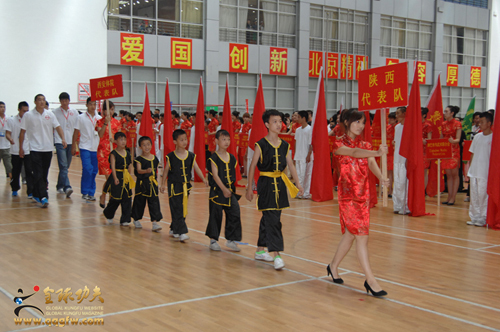 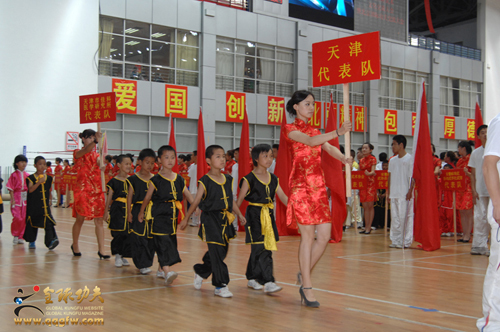 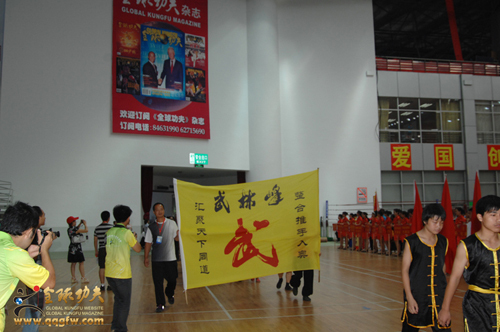 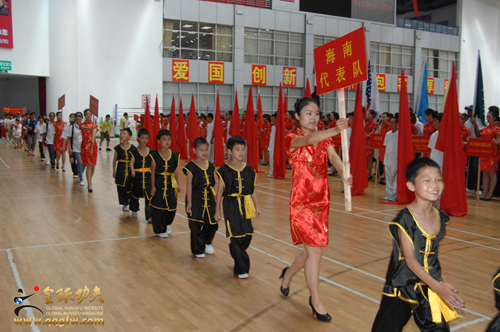 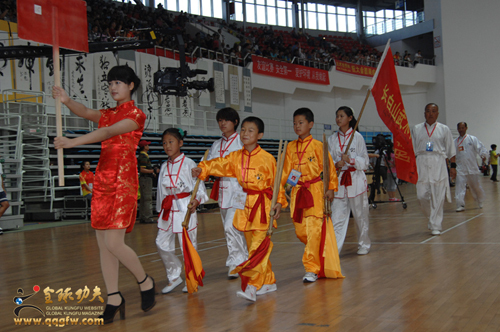 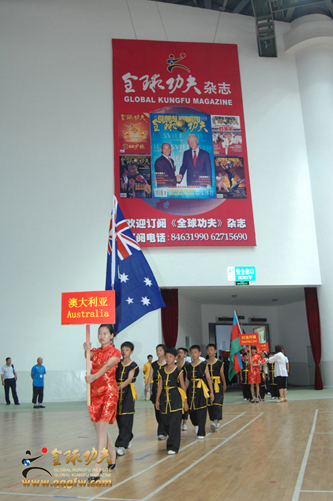 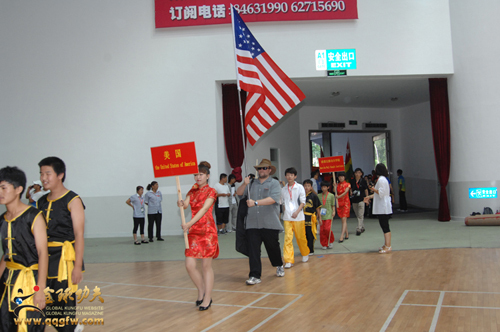 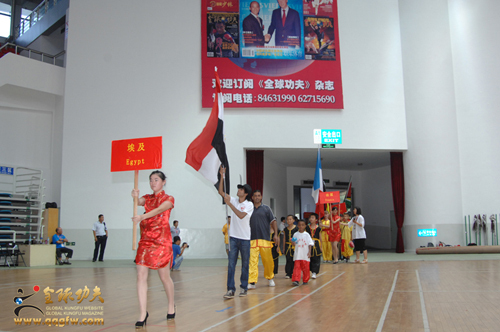 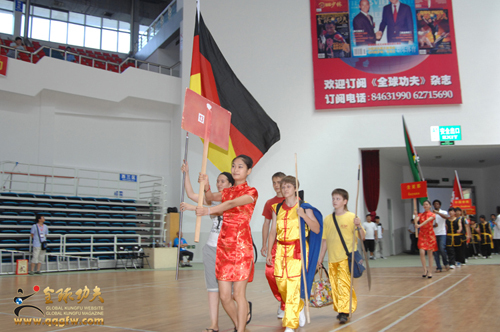 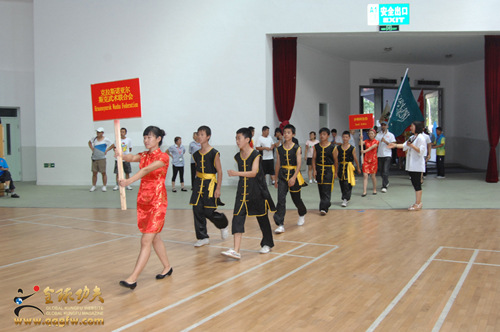 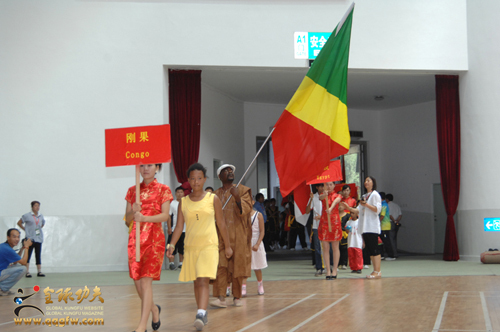 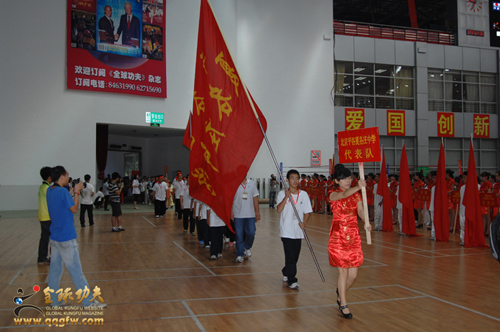 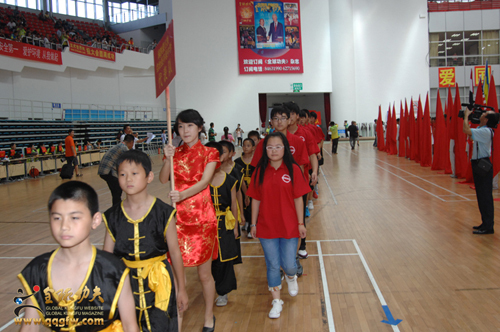 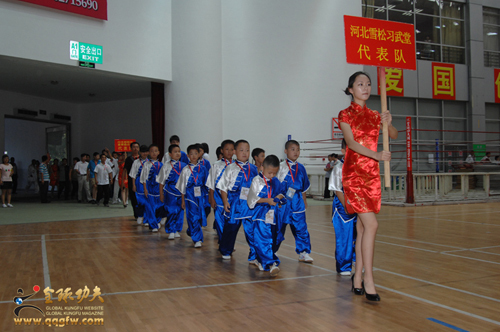 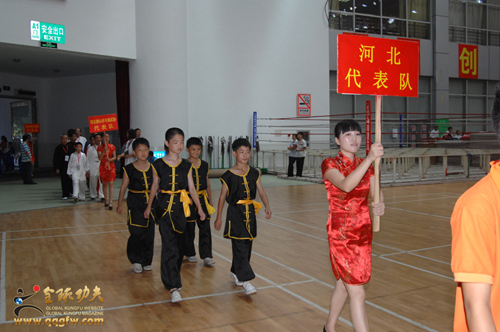 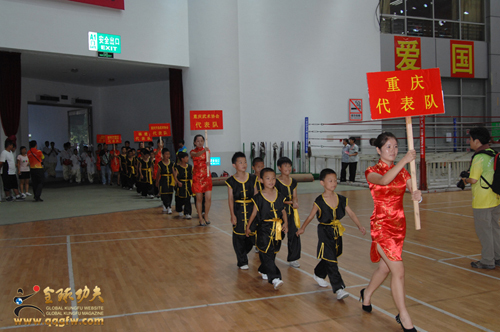 Magnificent performances were also arranged in the opening ceremony, hundreds of foreign martial arts enthusiasts performed the Spring and Autumn Broadsword program "eight hundred Spring and Autumn Dream", nearly a thousand students from Beijing Shaolin Martial Arts School displayed in collective Nanquan. 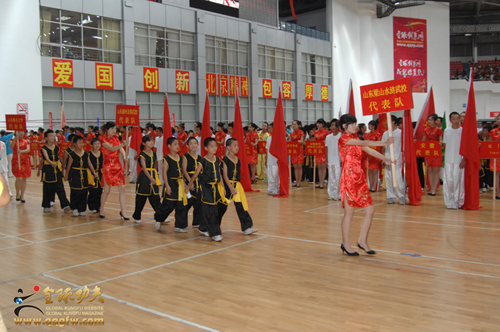 Large-scale stunts "Meihuazhuang", large Wu Dance "Olympic China" and other brilliant programs also appeared on the opeing ceremony . 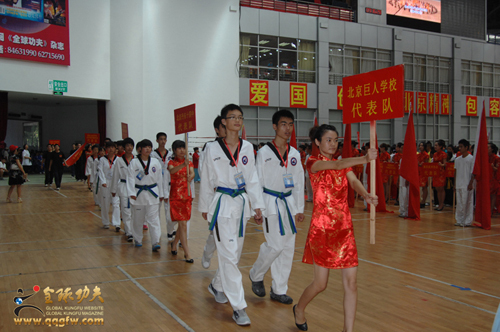 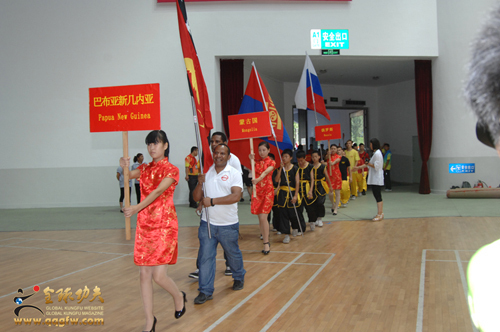 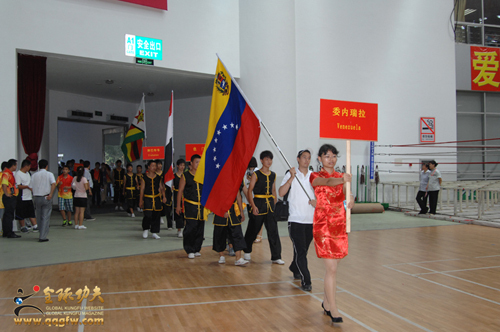 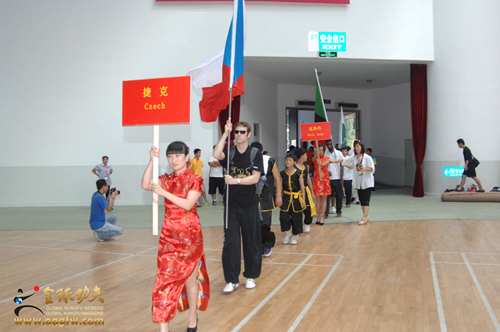 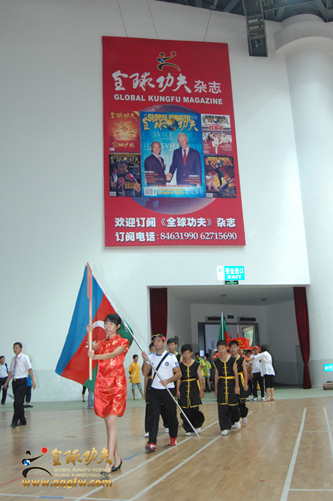 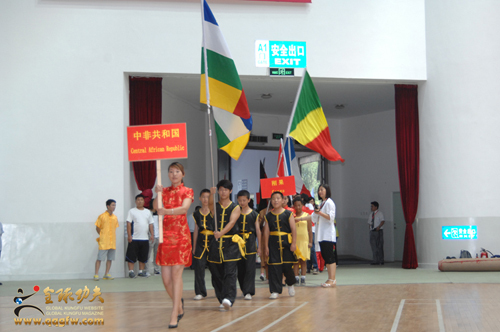 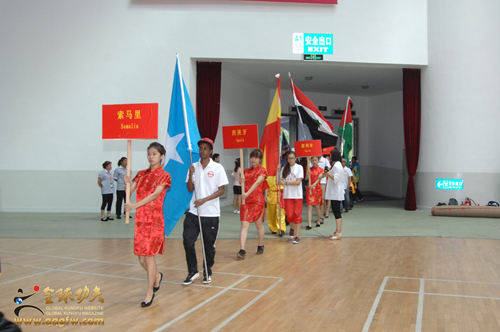 From nearly 50 countries and regions, more than 4,000 players of over 200 teams will participate in this conference.There will be a three-day competition and exchange in Wushu routines, pushing hands, Sanda, Taekwondo and Kung fu and other five projects, the formal establishment conference of the International Kung Fu Federation ,calligraphy exhibitions, martial arts academic forums, and other special events will be held in the process. 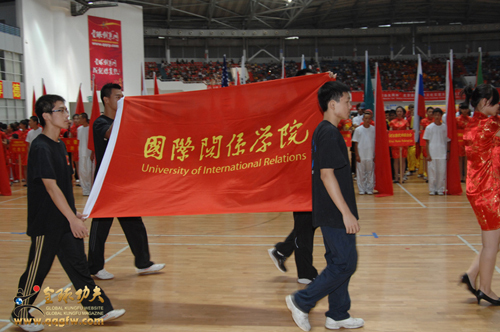 Under the pre- training of International, national referee team with director of the sports department of the Beijing Aeronautics and Astronautics University Xing Dengjiang as Routine chief judge, International Kung Fu Federation Sanda Special Committee Vice Chairman Zhang Xingzheng as the Sanda chief judge , deputy director of Institute of International Relations martial arts department Xu Yilin as the Pushing Hands chief judge , we can ensure that all referee will be rigorous, fair, just, law enforcing through the conference. 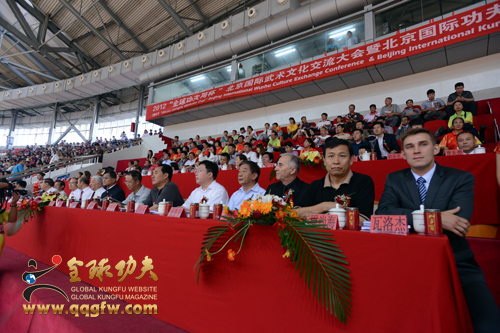 The conference has attracted hundreds of press medias including the People's Daily, CCTV, China Education Television, Beijing Television. 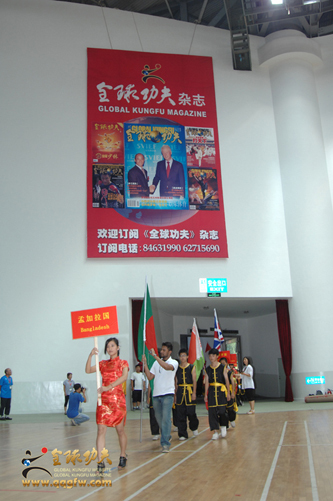 Meanwhile the Global TV, Global Kungfu Website ,the Global Entrepreneurship Network will give a full live of the opening ceremony and a comprehensive coverage of all the events and the details of the final games. 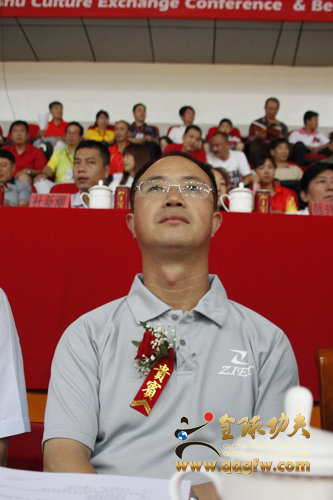 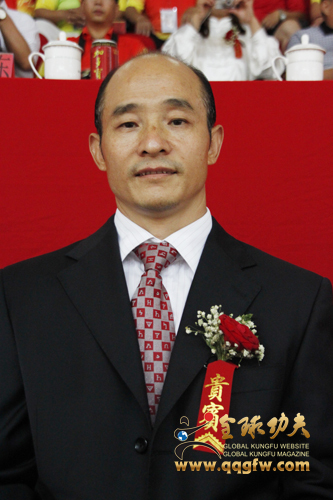 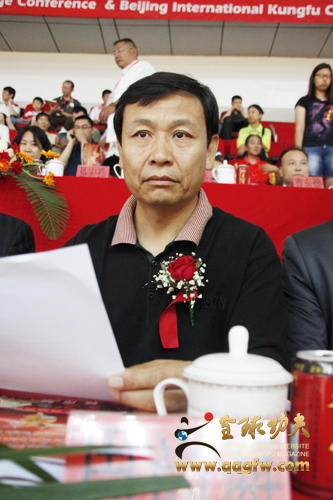 UN Friendly Messenger, vice president of Chinese Wushu Association, President of International Kungfu Federation ,Executive President of the 2012 Beijing International Wushu Culture Exchange General Assembly Organizing Committee, Mr.Fu Biao.